“Look Wide”It's a good title,isn't it ? and a good motto Senior Scout. 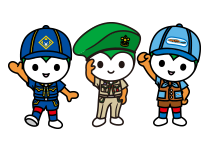 Copyright © Yamaguchi Scout Council, SAJ All rights reserved.